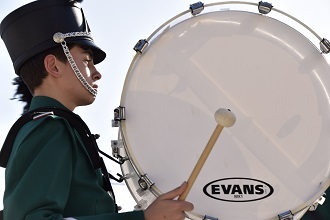 We are a group of 60 young and even younger musicians who play in drill shows made up of music and choreographies in great outdoors such as squares and stadiums. 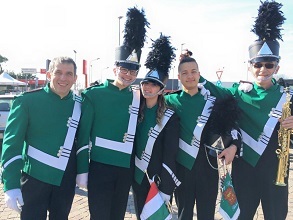 Bedizzole Marching Band entertains and makes the audience enjoy every institutional ceremony, competition, festival, inauguration, national and international event. 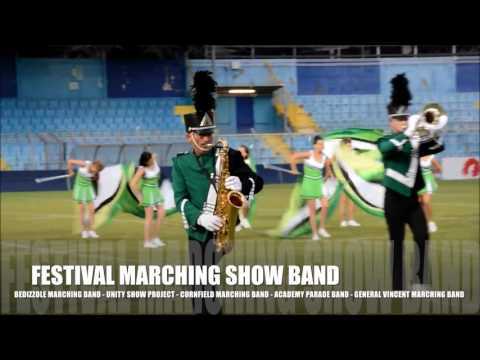 In 2013 3rd placed in the IMSB Field Parade Competition in Monza. When he read a stave for the first time he was only twelve. Even from the very first lessons he felt a great interest and he understood to have a gift for the music. 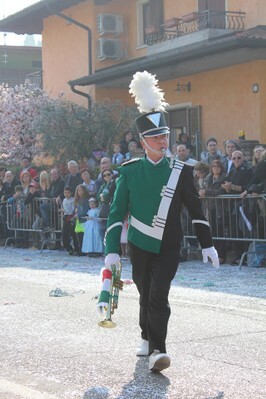 When he finished his studies he attended many specialized music courses and in a very short time he became the solo trumpet and the executive secretary of Bedizzole Marching Band. He collaborated with many citizens’ bands and music groups of every kind, ballroom dance orchestras and folk rock groups, always with great success. Then he took up a new challenge: becoming director. He directed parades and concerts and bring with honor our Italian flag to New York, Spain, Holland, Poland, Austria, Czech Republic, France. He also directed the DRUMS&FANFARE ACADEMY where he taught music. 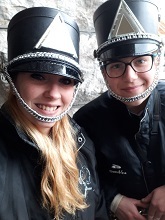 Latest pride: in 2006 he founded the BEDIZZOLE MARCHING BAND, a group of young and even younger instrumentalists who enjoy themselves with music and choreographies, and study the MARCHING BAND rudiments with great care.